The Panthers and Storm hit the road this Saturday and bring the NRL to beautiful Bathurst with both sides feeling confident after last weekend’s results. Melbourne were too good for Canberra in the nation’s capital, the benefit of a longer break and a more settled preparation clearly on show. Penrith meanwhile collected their first win of the season with a tough 16-14 victory over Newcastle. The Panthers were far from perfect, but coach Ivan Cleary would have been over the moon with the side’s effort when compared to the performance they produced against the Eels the previous week. Penrith were much more composed, tough in defence and had a much improved attitude and approach to the contest. Things will need to step up another gear for Penrith if they’re to topple the undefeated Storm, who have looked nothing short of superb in their two opening games. They never really looked in danger against the Broncos in what was a dominant opening round performance, and the Raiders weren’t given much of a look-in either. Even as Melbourne lose some of their mainstay champions of their incredibly successful era, the structure and discipline just rolls on. The lesson from Melbourne’s first two games is simple – you can’t let them take control of the contest early, or you’re most likely toast. Easier said than done, perhaps, especially given Penrith are perennial slow starters. While last week’s win relieved some of the pressure on the Panthers, there’s still plenty of improvement that needs to be made if they’re a chance of toppling Craig Bellamy’s men. Their completion rate of 69 per cent was well below where it needs to be, and discipline is still an issue with the side losing the penalty count 9-6. That said, what can be praised is Penrith’s toughness in defence, particularly in that second half where they held a precarious 16-8 lead for such a long time, and then had to withstand even more pressure when it was reduced to 16-14 late in the contest. 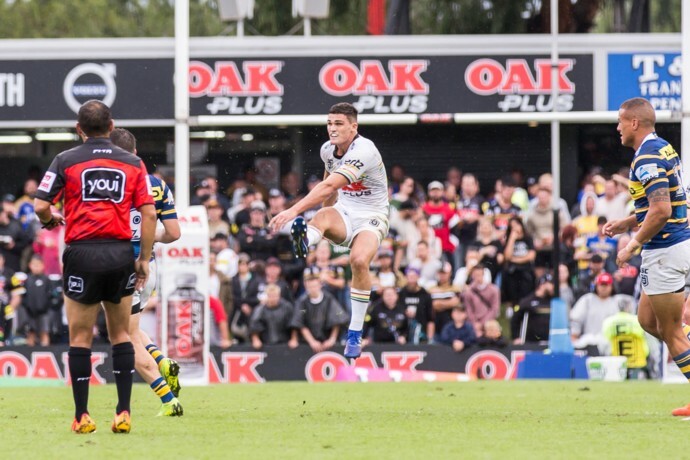 Penrith’s kicking game was also good and is a little more unpredictable this year, to the point where they forced four line drop-outs last weekend – almost unheard of during Anthony Griffin’s time in charge. To beat Melbourne, Penrith need to be dominant in the match from the start. Nathan Cleary and James Maloney must dictate where the ball is, and must lead Penrith to a hefty share of possession, particularly in the first 20 minutes. If the Panthers can survive that early period of the game, which is typically when Melbourne strangle you to the point of no return, then I have no doubt they can slog out a victory. The forwards must play their part too, and if James Tamou can continue his solid early-season form and Reagan Campbell-Gillard can repeat his effort of last weekend, there’s no doubt the Panthers will be right in this one. 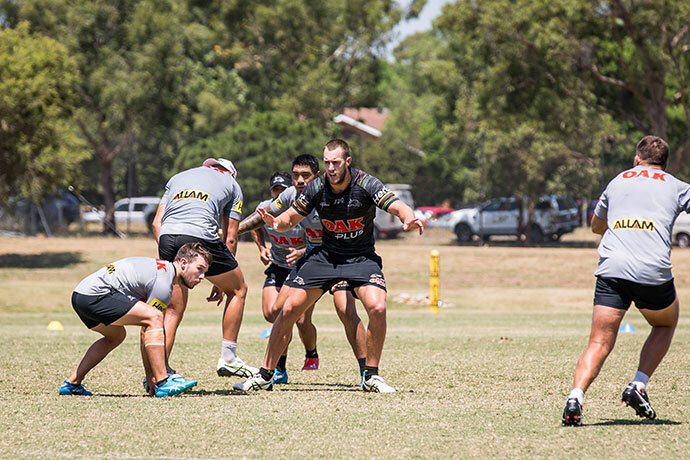 The loss of Isaah Yeo is significant as he’s been one of Penrith’s real workers in recent seasons, but it gives Hame Sele and Frank Winterstein a chance to stand up and be counted. 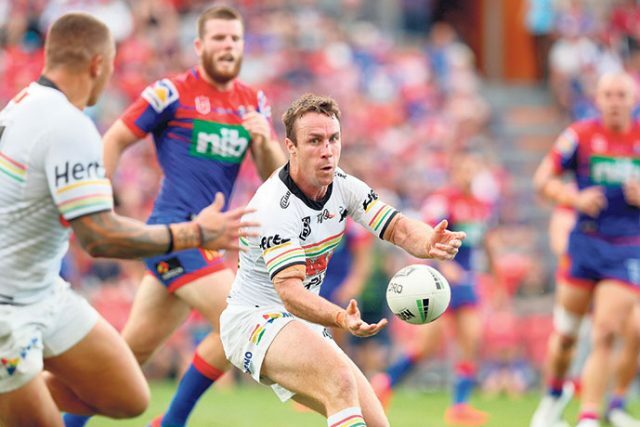 A dry track should ensure this is a quality game – let’s hope the people of Bathurst can cheer Penrith on to victory. Penrith and Melbourne play on Saturday, March 30 at Carrington Park from 7.30pm.